It’s the Christmas season and that means whether the world at large likes it or not, Christians have permission to speak of the event that has brought salvation to humanity, for those who are willing and able to trust in Him for that salvation. While it’s true that Jesus was not born on December 25th, He was born into this world. December 25th is simply the day chosen to recognize that auspicious birth. God the Son chose to become a human being (while retaining His deity), born of a virgin. This is what is taught in Scripture. Realizing that the church has simply adopted a date that coincides with a winter solstice is not reason enough to ignore the holiday, though I realize that there are groups of individuals like Jehovah’s Witnesses (JWs) who do ignore the holiday, to their chagrin. To JWs, the concept of acknowledging a birthday (even our Savior’s), is tantamount to idolatry, so they ignore it. One of my aunts became a Jehovah’s Witness as an adult and refused to recognize anyone’s birthday…on their birthday. She had no problem sending a card after the fact though, which begs the question as to whether it’s only considered idolatry if the event of a birth is recognized on that particular day, but not on a day either side of the actual birthday. There are also pockets of well-meaning Christians who are just as virulent in their belief that celebrating Christmas in any secular manner is the exact same thing as worshiping idols. It is very interesting how often passages of the Old Testament are used to support their beliefs, like verses that reference cutting down a tree and bringing it into the home like idolaters (cf. Jeremiah 10:1–4). Of course, during Jeremiah’s time, this was done specifically for the purpose of using that tree as a means of worship in the form of an Asherah pole. I know of no Christian today who places a Christmas tree in their home and bows before it or offers gifts to that tree. In fact, while many pagan cultures crafted Asherah poles and brought them either inside their homes or created “high places” for them on nearby hills, this is not done today, yet the connection for some Christians and cult members continues. The Asherah pole was connected to the Canaanite religion with the direct worship of Ugaritic mother-goddess Asherah, consort of El. This was done centuries before Jesus came into this world. To say that Christmas or rather, the birth of Jesus, should not be celebrated because it smacks of idolatry is asinine, yet it persists among people who are both well-meaning and those who are fully deceived. Jesus attended celebrations like the wedding at Cana and even there, He turned water into wine, which could literally be seen as His gift to the bride and bridegroom (cf. John 2:1-12). The birth of Jesus into this world should be recognized and celebrated. It actually gives Christians permission to wish people a “Merry CHRISTmas!” and to even talk about the real reason for the season. Of course the world doesn’t like that and has done its best to move the holiday away from Jesus by making it politically incorrect to say anything about Him, preferring instead to simply say things like “Happy Holidays” or “Seasons Greetings,” if that. The truth is that without Jesus, there would be no celebration on December 25th and I think Christians should be the most vocal about wishing everyone a “Merry Christmas” and explaining the real reason for this particular season. Jesus came into this world as a fully human man, literally clothing His deity (covering it, but not eliminating it; Philippians 2), so that as He walked this earth and lived among us, He appeared to be one of us fully because He was/is human in every way. He has two natures; one human and one divine, unlike us. While Peter tells us we are partakers of the divine nature, it is only insofar as we gain strength from God to submit ourselves to Him and because we have been adopted into His family, for those who have received His salvation (cf. 2 Peter 1:4). Jesus chose to only use His deity when it coincided with the Father’s will for Him. His birth into human history must be celebrated. The angels celebrated His birth, as did the shepherds and Magi. People came from miles around, bringing Him gifts as He lay in a makeshift manger of a stable with animals surrounding Him. The erroneous belief that by celebrating Christmas, Christians are somehow participating in ancient pagan worship practices is simply not true. But, insisting on this is like debating someone who believes the deity of Christ is not taught in Scripture. That’s certainly their opinion and while I’m quite aware of how they have gained that opinion from the Bible, I also believe they are completely in error over it. However, talking with them quickly turns into an unwinnable debate that is simply best left alone. Folks, as Christians, we need to remember the true reason for Christmas. It is not about our giving gifts to one another, though we should be free to do that as well, in remembrance of God giving us the greatest gift. The real reason for celebrating Christmas is to remind us what God gave to us in the form of His Son, who lived a sinless life, yet died as though He was a sinner. In doing so, He offers salvation to all who will come to Him in faith believing that He is who He says He is and has done all that is necessary to procure the gift of eternal life for all who will come to Him. I can think of no better reason than that to celebrate Christmas. In fact, it needs to be shouted from the rooftops and our lives should reflect His glory. 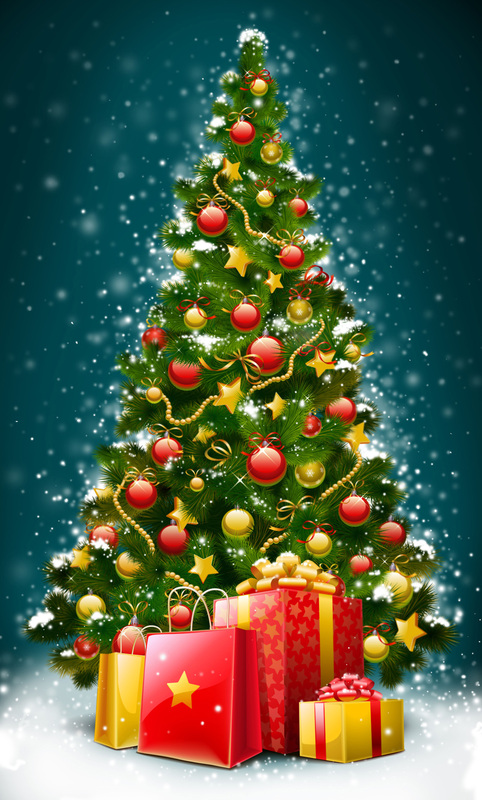 If you do not want to celebrate Christmas by bringing a Christmas tree into your home, exchanging gifts with loved ones, and other things that happen during this time of year, that’s completely up to you. But please, do not make the mistake of thinking that you are the holy or truly religious person while those who choose to remember Jesus by joining in the celebration are not. In my view, the birth of Jesus is something that should be celebrated daily in the lives of every authentic Christian. It should be done so that people see our lives, our joy, and wonder why we’re so filled with joy and peace in spite of the growing calamity that is visiting this world. Christians should not only pursue the true reason for this season during December, but it is something that we should press home to the world throughout the year. I get it. I understand that some Christians are just sick and tired of the way Christmas has become so commercialized. It doesn’t have to be though, but the world is always going to celebrate Christmas the way they want to celebrate. This has little to no bearing on how Christians celebrate Christ’s birth. It’s fairly easy to join in the celebration of Christ’s birth without falling headlong into the commercialism that thrives in our global economy. It is, in fact, quite easy to do without getting caught up in the corporate hoopla. Centuries ago, if a person brought a tree into their home, decorated it, and set it in a corner, it was clear to everyone then that the tree was dedicated to Asherah. No one would miss that fact, so God told the Israelites that they should not do that. In fact, God pointed out that they were to avoid every form of idolatry. God gave plenty of rules and laws through Moses that the people of Israel were to obey. The Church is not Israel and because of that, many of those rules do not apply to us, especially rules that are culturally based from hundreds or even a few thousand years ago. Here’s one for you, from Deuteronomy 14:21 (ESV). You shall not eat anything that has died naturally. You may give it to the sojourner who is within your towns, that he may eat it, or you may sell it to a foreigner. For you are a people holy to the Lord your God. Read that last line again. Any idea what that means? Boiling a goat in its mother’s milk was often done as part of a pagan worship ritual; idolatry. It was how certain gods were worshiped. However, if I boiled a young goat in its mother’s milk today, no one would accuse me of worshiping idols, yet that was the very clear statement that would have been made way back then, during the time of Moses. The pagan nations had some extremely weird practices and God did not want them to become part of Israel’s practice. If I happen to cook part of a young goat in goat’s milk on the stove now, would you accuse me of worshiping idols or would you simply think I was preparing dinner? Paul addresses this very clearly in his letter to the 1 Corinthians 8 when he talks to them about eating foods sacrificed to idols. Ultimately, he states that if you are visiting someone and they put a plate of food before you for dinner, eat it and enjoy it, giving thanks to God first for that provision. If however, they tell you that it was food sacrificed to the idols they worship, you should not participate. Why? For their sake, not yours. It would give the false impression that you agreed with them. It wasn’t that eating foods sacrificed to idols was bad for Christians. It wasn’t (cf. v. 4). We must be careful to not cause someone to get the wrong impression by eating something they told us was sacrificed to their idols. I cannot imagine that happening today, at least not in America, but certainly, on the mission field, that might possibly occur. I cannot imagine anyone putting a plate of food before me and then telling me that the meat I was about to eat had been sacrificed to Beelzebub, can you? Even if it was, according to Paul, it would make no difference to me personally, but for their sake, I should decline to eat it. It is the same thing with Christmas trees in our home. We bring them in for a completely different purpose than the people of Jeremiah’s day did. Then, it was a form of idolatry and outright worship of Asherah. Today, that is most definitely not the case. Christians should be using this season to spread the gospel. Instead, some avoid the holiday at all costs for fear of being seen by God as idolaters. It’s up to you what you do with this holiday. As for me and my house? We will worship the Lord this holiday season and make His Name known to as many people as possible. Entry filed under: Agenda 21, Atheism and religion, christianity, Cultural Marxism, Demonic, devil worship, Emotional virtue, eternity, israel, Judaism, Life in America, new age movement, Political Correctness, Politically Correct, Politics, Religious - Christian - End Times, Religious - Christian - Prophecy, Religious - Christian - Theology, salvation, second coming. Tags: asherah pole, ashteroth, christmas, christmas tree, god the son, idolatry, pagan. The foundation of Christianity is based on a personal encounter with a spiritual God, offering spiritual answers for a spiritual people that still need healing regarding their natural lives. If we fail to maintain spiritual focus on Him and the intent of His kingdom then other powers will entertain us. If you recall, the word refers to Christians giving their attention to other powers. Those counterfeit events begin with us thinking that all our physical attempts at serving God are acceptable to Him. They also promote a gospel that is “all about us” rather than “all about Him”. Are you a physical new creation or a spiritual new creation? By defending fleshly rights and privileges you are leading the people of God into pagan spiritual worlds which promote a different god and spirit. I could not disagree with you more, Gordon, regarding a number of things you stated. I believe you have misunderstood and therefore, misapplied and misappropriated God’s Word to suit your own felt needs. If you see the celebration of Christmas by Christians as pagan, that’s up to you. You’re entitled to your opinion and I’m entitled to reject it as baseless. Seducing spirits and doctrines of devils that Paul is referring to in the Scripture you quote (1 Timothy 4:1-3) is really a continuation of Paul’s argument from earlier in the same letter. He speaks of what will happen in the end times (that began with Christ) and certainly applies to us today. In essence, Paul was clearly stating that as we draw closer to the end of this age, many would repudiate the truth. What truth is Paul referring to here? He is referring to the truth he outlined in the earlier sections of 1 Timothy, specifically related to Jesus; who He is, what He accomplished, etc. There were individuals during Paul’s day who spent their time trying to refute the truth about Jesus and unfortunately, in some circles, those arguments gained traction. These lies pull people away from their NEED for Jesus and the truth about Him. The Christmas celebration actually is intended to focus our hearts and minds on the birth of our Savior and God over all. It is supposed to focus our attention on our need for this Savior. Rather than this being a “counterfeit event” as you state, it is a very real and truthful event, one that brings more unbelievers to church each year just like Easter. These events are nowhere near counterfeit, but when done correctly, glorify God, and usher unsaved people into His Kingdom. I’m very sorry you are unable to see that, I assume because all you see about Christmas is the way the WORLD looks at it. What the world does is none of my business. Generally, Paul is speaking of apostates in his remarks to Timothy, those who come to a point in their lives when they no longer believe that Jesus is God (if they ever actually did), that He and He alone is the only way to salvation and eternal security. Paul’s concern where Timothy was concerned had to do with the issues Timothy was dealing with at that time, long before Christmas ever became a celebration. Timothy was having to deal with false teachers, gnostics, Judaizers, and the like who were doing their level best to move Christians away from Jesus and with their deceptive words, to teach a false gospel, which we know is no gospel at all. Many wanted these new Christians to adopt more of Judaism. Others, like gnostics, wanted the new Christians to adopt their way of thinking regarding the material, the immaterial, and how we allegedly gain access to God. What you’ve done is taken a few passages of Scripture and attempted to extrapolate from them what you THINK they mean regarding your own narrow and unbilbical approach to celebrating the birth of Jesus. As stated in the article, if you choose to ignore the celebration of His birth, that’s up to you, but for you to insinuate or accuse me or anyone else of “preaching another Jesus” is absurd. Paul’s reference there in 2 Corinthians 11:4 has nothing to do with whether or not a Christian celebrates Christmas. It has to do with whether or not Christians ascribe to Jesus the fact that He is God the Son, who came into this life born of a virgin, as a full human being. He lived a sinless life, yet died a sinner’s death (while remaining free of sin Himself), in order that we might have life in Him and eternal life at that. This particular section of 2 Corinthians starts a large section (2 Corinthians 11:1 – 12:18), in which he provides reasons why he was qualified to teach and what he taught was the truth. Again, Paul was up against people who were questioning his credentials as well as his apostolic authority. Paul was in fact defending himself against these false accusations by those who criticized him and his ministry. They tried to call his apostolic authority into question because if they could deride it, then they had a better chance of having THEIR message (that Jesus was not who He said He was, etc. ), accepted by the new believers in Corinth. Let’s not forget also that “Judaizers” followed Paul from city to city and town to town attempting to destroy Paul’s message about the Risen Christ. These Judaizers saw Paul as a major threat to JUDAISM and did everything they could to thwart Paul’s message and even ruin his character. You have taken these verses out of context to mean something they do not mean. I am not preaching another Jesus. I preach Jesus crucified and risen from the dead. He is God the Son and has always been the Eternal Son. Celebrating His birth is something that Christians should be fine with but there are folks like yourself who want to take that away from us with your false accusations and the improper use of Scripture to support your own erroneous beliefs. You’ve stated your point and I’ve stated mine. I think it would be good to agree to disagree on this point, Gordon. Thank you. Your hermeneutics dismiss you having any personal obligation to be measured by the substance of these passages that I’ve quoted. If Paul’s words tell of a future period of time when Christians would be seduced by other powers then maybe we should humble ourselves and ask, “is it me Lord?”. Some necessary introspection is due when you consider that the early Christian church suffered persecution for not partaking of this high holy day. The Christianization of this holiday began with Constantine some 300 years after the birth of Jesus. Was the early church misinformed as to the potential benefits of Christmas? If you can provide your readers with a bible verse or two that validate Christmas is from our Savior then it would go far at substantiating your claims. Gordon, I knew that you would not simply be able to let things remain as they were, but I refuse to play your hyperliteralistic game when it comes to understanding Scripture. There is absolutely nothing I can say that would convince you of your error. Not one thing. Since the Scriptures are silent on the celebration of Christ’s birth (as a mandate for believers), you believe you are on solid ground by ignoring it. You place this aside the mandate to observe the Lord’s supper and we also celebrate His resurrection when we assemble the first day of each week. Because of the absence of any directive to celebrate Christ’s birth – in spite of the fact that the Magi and others found Him, brought gifts, and worshiped Him – you feel secure in believing that this is something that should not be done and you believe it is your mandate to warn other believers as well. In your first set of comments you asked whether I am “a physical new creation or a spiritual new creation”? The implication – like that of the ascetics and/or Gnostics of old – is that we should focus on the spiritual and pretty much ignore the material or physical. Let me ask some rhetorical questions for you that you can simply ask yourself. I don’t want or expect you to answer them here. In fact, any further response from you will not be posted. Do you eat food and drink beverages? Do you have your “favorite” foods/beverages that you thoroughly enjoy eating/drinking? Do you ever eat out at a restaurant? Are you overweight and because of it, do you suffer from health problems like high blood pressure, colitis, ulcers, irritable bowel syndrome, fatigue, foggy brain, and a host of other physical maladies? Do you celebrate birthdays, either of family, friends, or both? Do people celebrate your own birthday? The fact that you might answer “yes” to any of the above means that you are focusing on the physical. Even though Paul outlines the fact that we should allow no one to judge us (believers) based on what we eat, or festivals we celebrate (Colossians 2:16), you’re doing exactly that. It would be fine for you to do that for yourself only, but you are clearly on a mission to be the “Holy Spirit” for other believers. What you fail to recognize is that you have exchanged the freedom you have in Christ for a set of rules and principles that you believe makes you holy. In reality, as Paul states, you have simply become beholden to a set of rules of your own making and in doing so, you have replaced your worship of Christ with a worship of certain rules. I could spend days discussing your beliefs with you (based on your book and website), going over large portions of Scripture and unless God opens your eyes, it would be for nothing. If you have “favorite” foods and beverages that you fully enjoy, then according to your reasoning, you are in danger of worshiping something other than Christ. If your concern is thoroughly on the spiritual, then neither food nor beverage should matter. In fact, you should only eat and drink that which is beneficial for your survival. Desserts would be completely out of the picture as they are often devoid of any real nutritional value. In fact, most foods lack the real nutrition and value that our bodies actually need, which is why there is so much obesity and sickness in society. The problem with thinking such as yours is that it is dangerously in sync with the thinking of Gnostics, who believed that the material or physical was essentially nothing and the focus should be on the spiritual. Unlike them though, you have simply given yourself additional rules and regulations so that many things – that are neither good or bad – are avoided. This gives the appearance of being spiritual but in the end has absolutely no spiritual value. Aligning with these things simply gives arrogance and pride the opportunity to grow and a person becomes puffed up. “If with Christ you died to the elemental spirits of the world, why, as if you were still alive in the world, do you submit to regulations— 21 “Do not handle, Do not taste, Do not touch” 22 (referring to things that all perish as they are used)—according to human precepts and teachings? 23 These have indeed an appearance of wisdom in promoting self-made religion and asceticism and severity to the body, but they are of no value in stopping the indulgence of the flesh,” (Colossians 2:20-23). Think about what you are saying. You essentially believe that CELEBRATING the birth of Jesus – God the Son – into humanity is prohibited because of the silence of the Scriptures and because you believe it stems from pagan activity. This is genuinely absurd that you believe that no Christian should recognize a specific time of the year when the physical birth of our Lord and Savior should be recognized. You feel that you are on solid ground where the Lord’s supper is concerned because Jesus Himself gave the directive. Yet, the Magi and the others were all actually directed to the place where Jesus was found after His birth. Gifts were brought to Him. Worship was offered to Him. It was literally a very public event. Yet, you choose to ignore the celebration because of what you believe to be its pagan roots. This makes absolutely no sense but simply proves what Paul says in Titus 1:15 when he observes that there are people who see evil in nearly everything. If we are going to not celebrate the birth of our Savior because of the possibility that the event (which you called counterfeit), is fully corrupt due to its potential pagan connection, then you must be willing to throw out everything in society for the same reason. Do you shop at stores that donate to Planned Parenthood? Do you buy food because it is your favorite type of food? Could it be the reason the early church did not celebrate Christmas or other things is because they were so busy being persecuted, often to death? During the time of Constantine, when the state became essentially married to the church, persecution settled down and Christians were able to live a more peaceful life without fear of persecution. We live in an age of tremendous grace, where God has put off His coming wrath in order that everyone who might come to Him would be able to do so. Celebrating Christmas allows and even encourages non-believers to see the very reason FOR Christmas and it is up to Christians to put forth that reason. It provides special opportunities to evangelize the lost. The world also distorts Easter, yet the church meets the first day of each week as a form of remembrance of His resurrection. We also celebrate the actual event of His resurrection on Easter Sunday. Your reasoning would force you to say that the church should not celebrate Easter because of what the world has done to the event (as well as the possible connection with pagan rituals). This again, is completely absurd. I think you need to go back and re-read my article and if you are unable to agree with what I have stated, I completely understand that. However, do not make the mistake (as you have), of believing that because you personally do not celebrate Christmas, then you are the spiritual person and those Christians who do celebrate it have entered into some pagan form of idolatry. You have become a judge with evil thoughts (cf. James 2:4). I’m quite sure I am not right about all things. No one is and I’m also quite certain when I stand before Jesus at the BEMA Seat Judgment, I will learn of all the things where I came up short in this life. You will learn of your shortcomings, failures, and theological error as well. We all will. There’s a great deal more that I can add to this conversation but it would not matter to you in the end. My job here is not to convince anyone of anything. I have no power to convince and I’m thankful for that. Jesus could not even convince people of the truth He spoke and exhibited in His life. How much less can I convince anyone? I simply present what I understand and let the chips fall where they may. In the meantime, the Lord has at times shown me where I need to modify a position here or there. I like to think that I am teachable and that He is able to teach me. In this particular case, I find that the disagreement over whether Christians should celebrate Christmas would be hilarious if it was not so sad. The reasons proffered for not celebrating Christmas are woefully inadequate. Thank you for stopping by and this debate/discussion ends now as every comment posted here is only posted after approved. We are done. I wish you the best as you continue to serve the risen Lord. The Wise Men did not visit JESUS at birth but rather when He, JESUS was approximately two years old! Thus the order from Herod was to koll any chold two years old and under according to the date the Magi had said the Star first appeared!! Well there is a DVD movie or documentory done on the date when the Wise Men brought the gifts to JESUS! A formula discovered by Tesla?? or some other such famous genious came up with a mathmatical formula for determining where the stars were in the sky at any given time or on the day of their visit to deliver the Gold, the Frankinsense and the Myrhh was December 25th!!!!! Look up “THE STAR” IT IS WONDERFUL!! We are aware that the wise men, etc., did not visit Jesus until he was roughly two years old. However, you have completely missed the entire point of the article. Not sure how anyone can read something and be so off point in their comments. The article was NOT intended to determine the actual date of Jesus’ birth, which is really debatable, in spite of the fact that you believe otherwise. The point of the article has solely to do with the fact that there are people within Christendom who do not celebrate Christmas at all because they see it as a form of idolatry. The article addressed that concern and responded to it. Thanks for that one, Dr Fred!